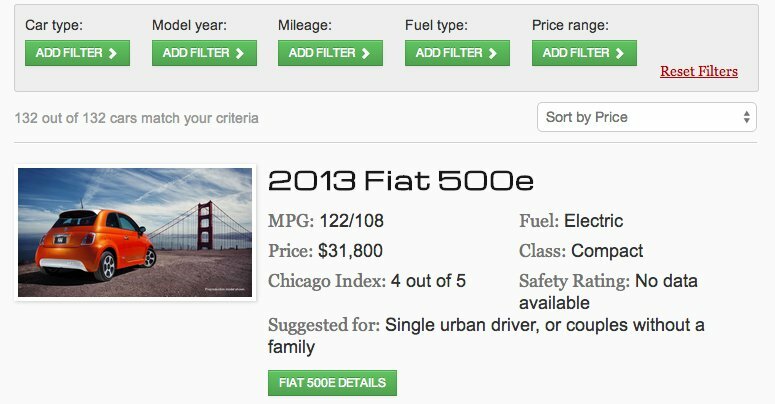 This guide to fuel-efficient cars exceeded goals for a Chicago Auto Show launch, created mobile content, and made the case for more automotive technology programming that would double traffic to the channel. Tribune Publishing’s automotive group wanted to build its display advertising business, and the Chicago Tribune wanted a product to launch at the Chicago Auto Show. I gathered the stakeholders to set goals and key performance indicators, and we agreed on a package that would build audience through search: a database to rate and compare “green” car models for urban winter driving. As content lead, my role extended throughout the project. I collaborated on personas, use cases and wireframes. I developed the data for rating and comparing vehicles. 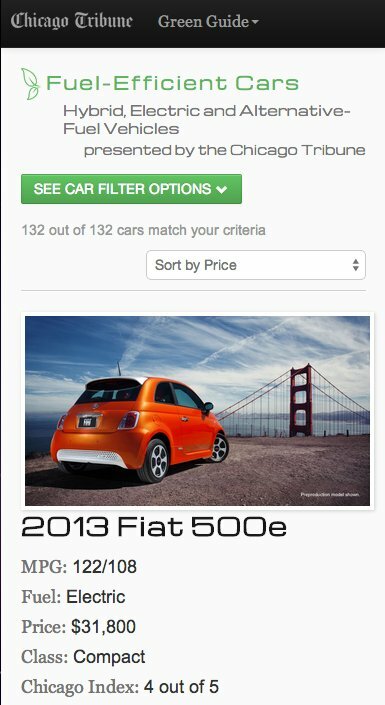 I recruited writers and gave them article topics, questions to answer and formats for 100 new vehicle reviews. I acquired photos, wrote search metadata and performed quality assurance testing. At the auto show, I produced video features and directed social media. My communication with the team included metrics reports: A successful SEO strategy brought the automotive channel half its audience from search. Surprisingly, reviews and in-depth content drew the best response. I recommended a blog that would attract broad front-page and social media interest and draw continued search referrals. The database and blog influenced the Tribune’s later “digitally remastered” relaunch.